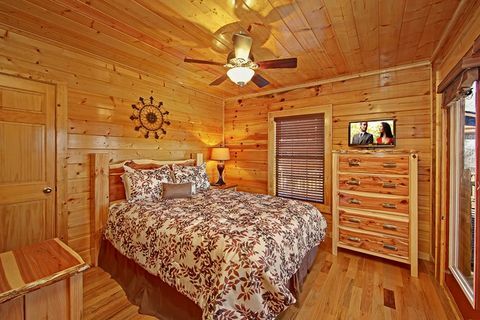 Welcome to "Shakonohey", your Dollywood cabin Pigeon Forge TN in Hidden Springs Resort! 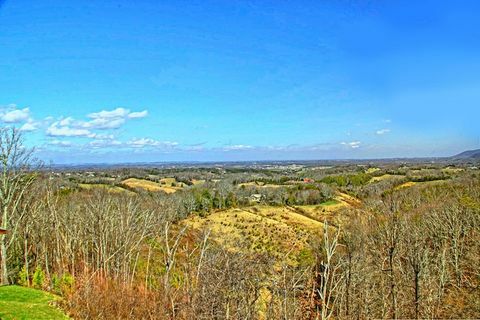 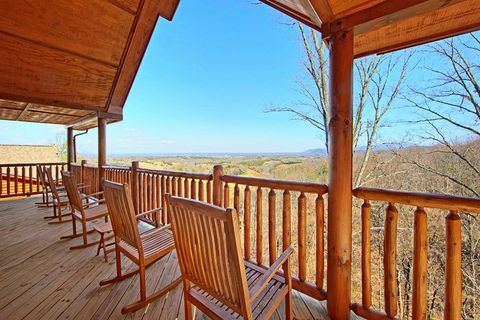 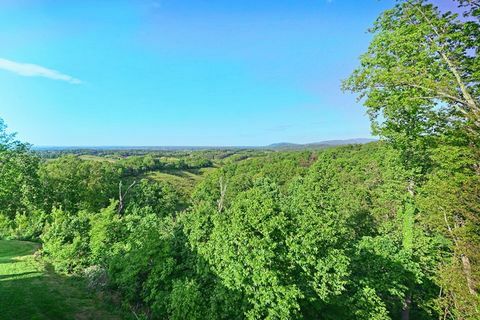 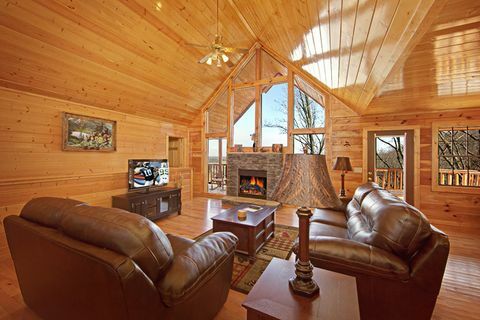 "Shakonohey" is the Cherokee phrase for “Land of the Blue Smoke,” and as your group enjoys the majestic splendor of the Great Smoky Mountains from your log cabin’s two spacious decks, you too will embrace the Cherokee’s most apt name for describing their home. 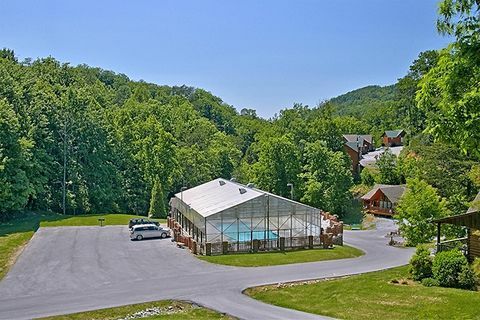 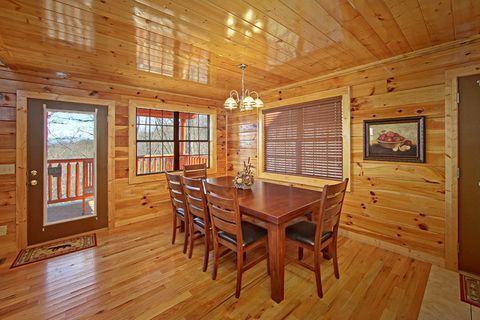 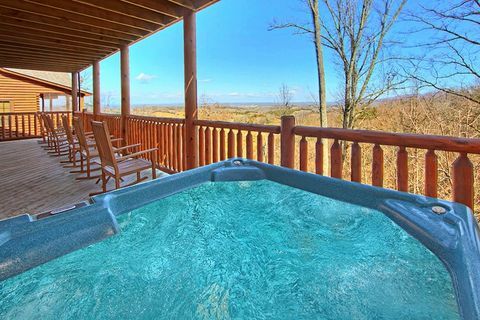 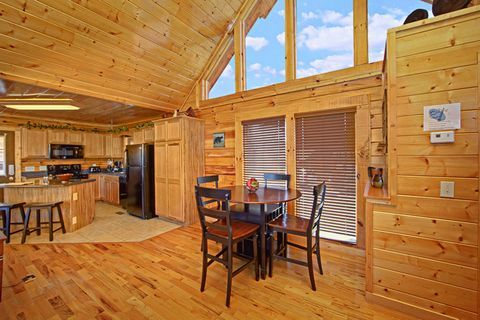 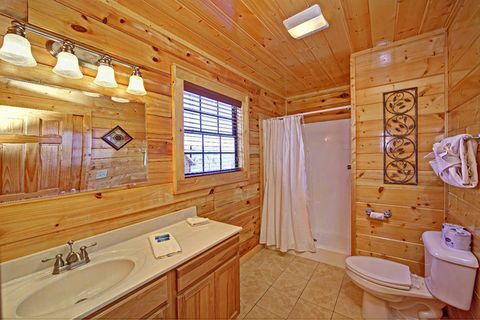 Your Hidden Springs Resort cabin is a 5-Star rated log cabin with striking decor, modern amenities and boasts a prime location next to Dollywood Theme Park, Dollywood Splash Country, and countless of other attractions in Pigeon Forge. 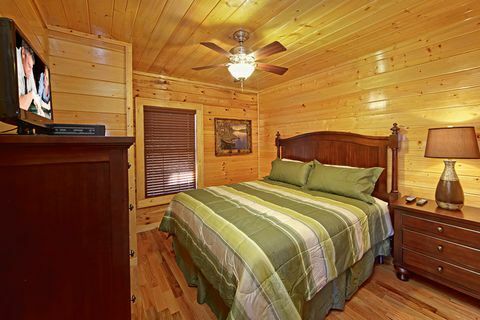 Sleeping up to 12 guests, "Shakonohey" features 4 comfortable bedrooms. 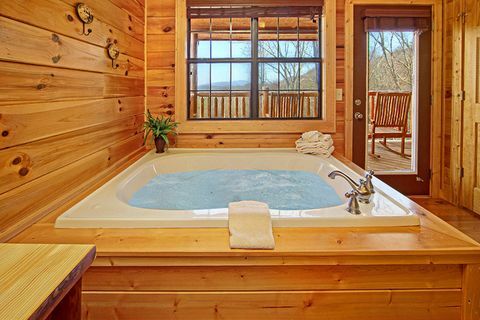 The main level master suite includes a king-size bed, in-room jacuzzi tub, full bath, and television. 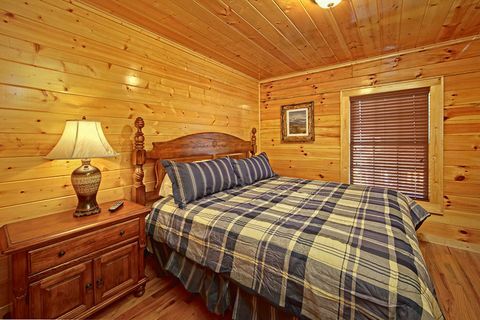 Downstairs, the 2 of the 3 additional bedrooms provide king beds and full baths, while the third features a queen-size bed. 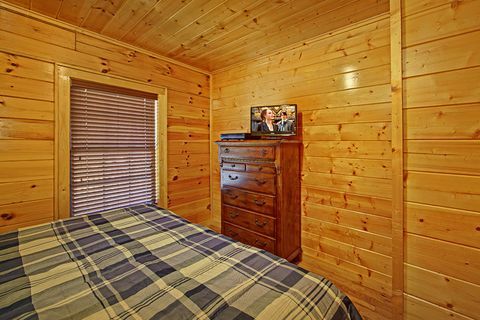 All the lower level bedrooms come complete with their own television. 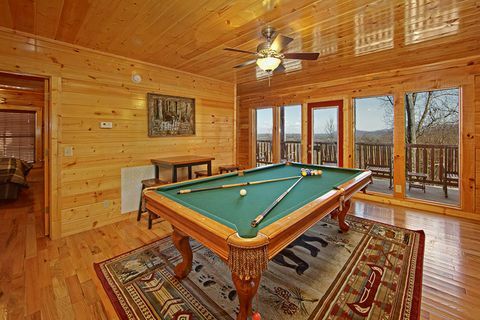 The lower level of your Dollywood cabin Pigeon Forge, TN is equipped to provide your family or group with hours of entertainment with its full-size pool table, electric fireplace, and a cozy living area with television. 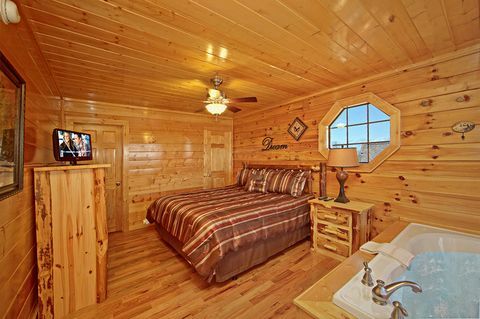 Extra sleeper sofas are located on both levels of your resort cabin. 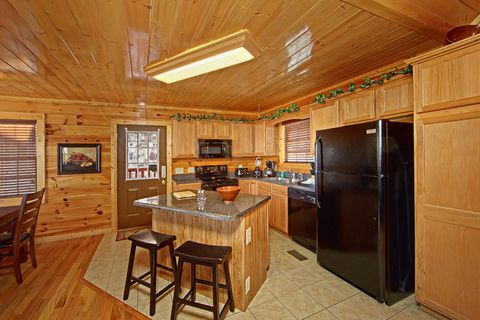 "Shakonohey’s" corner kitchen with breakfast island and charcoal grill are great for late night snacks to large family meals to enjoy in the dining area that comfortably seats 10. 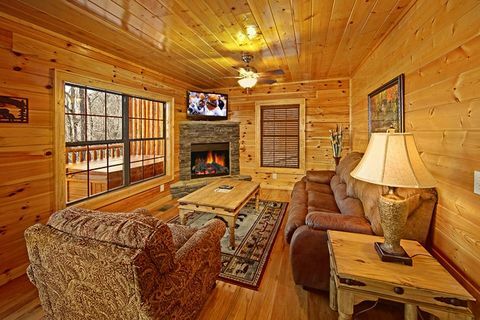 Gather the family or group together for some charades or other games in the spacious main level living area with large flat panel satellite television, free WiFi Internet access, and another electric fireplace. 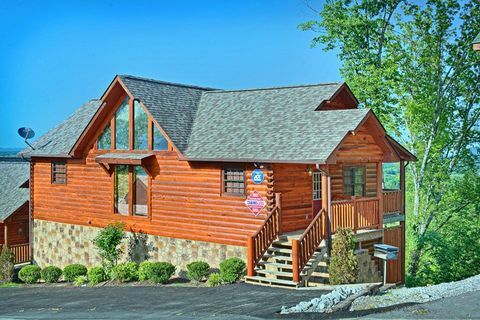 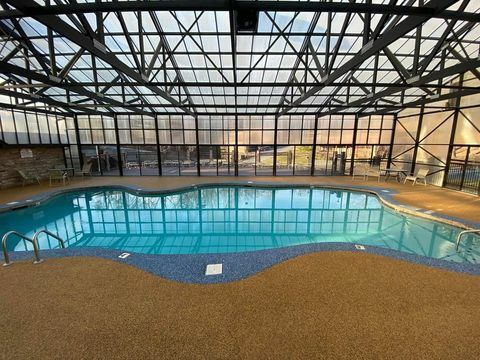 After a full day’s fun at Dollywood or dozens of nearby Pigeon Forge attractions, return to your cabin for moments of tranquility gazing out at beautiful Smoky Mountain sunsets from your relaxing year-round hot tub or stroll over to the Hidden Springs Resort’s outdoor (summer) and indoor swimming pool (year-round) for even more water fun. 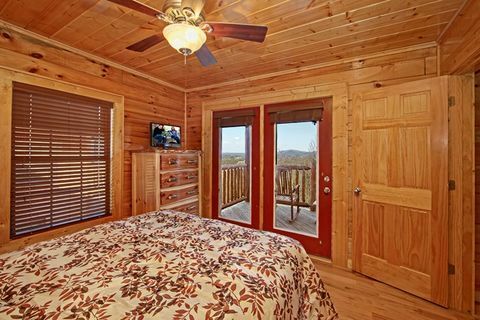 Take the first step towards that perfect Smoky Mountains vacation destination when you book "Shokonohey," your Dollywood Cabin Pigeon Forge ONLINE with Cabins USA and get an immediate Cabin Discount!